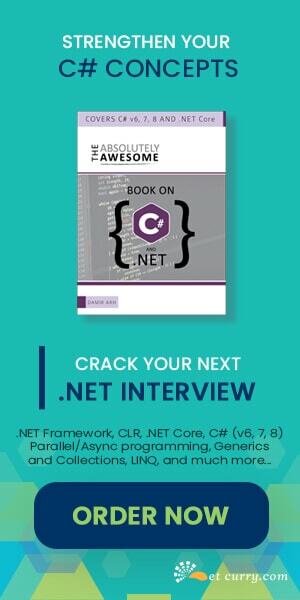 ASP.NET Web API is a framework that makes it easy to build HTTP services for various types of clients from Microsoft to Non-Microsoft technologies. The new programming model of developing over HTTP is made simple and flexible by using WebAPI. We can design services which can be accessible from a broad range of clients, including browsers and mobile devices. One of the most frequent requirements while retrieving data using WEB API is that how to implement pagination so that only a subset of data is fetched from the server. To implement this, OData queries with WEB API can be used. You can get more information about the OData Queries from here. Let us build a simple application that can filter multipage data using OData queries directly. Step 1: Open VS 2012 and create a new Empty MVC application. Name it as ‘MVC40_WEBAPI_Pagination’. 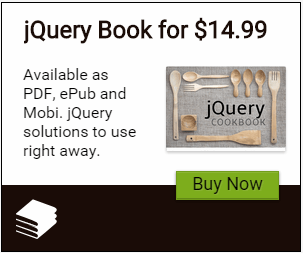 Since we will be using jQuery and Knockout.js framework, on this project right click and using ‘Manage NuGet Package’, get the latest jQuery and Knockout script files. Add about 20 rows of sample data. You will get the methods for GET|POST|PUT and DELETE. Let’s include the OData libraries now. This will add the reference of ‘System.Web.Http.OData’ assembly in the project. The Queryable attribute specifies that the action method now supports the OData query syntax. Step 7: In the Controller folder, add a new Empty MVC controller of name EmployeeInfoController. This will be an Index action method. Generate a new Index.cshtml view from this action method. The above code defines the Drop Down list using HTML <select> tag. The Button, of name ‘btngetdata’ is bound with its click event to the EmpModel.GetRecord method. Similarly the table is declared with the header information. The table body is bound with the HTML template of name ‘EmpData’ and foreach parameter is passed with observable array of name EmpModel.Employees. We will be declaring the HTML template and the ViewModel in next forthcoming steps. The above HTML template defines table row with <span> in each table cell, each <span> is bound with the EmployeeInfo properties. Editors Note: The jqXHR.success(), jqXHR.error(), and jqXHR.complete() callbacks have been deprecated in jQuery 1.8. To prepare your code for their eventual removal, use jqXHR.done(), jqXHR.fail(), and jqXHR.always() instead. This url has the OData query operator like top, $skip, $orderby. This query operators will now help to select the records from the server to implement pagination. Exposing OData queries over ASP.NET WEB API is very easy to implement. Enabling querying of data like this makes the API really powerful across various possible clients. Data filters, pagination can be easily implemented to reduce huge amount of data fetched from the server and hence can save the bandwidth.